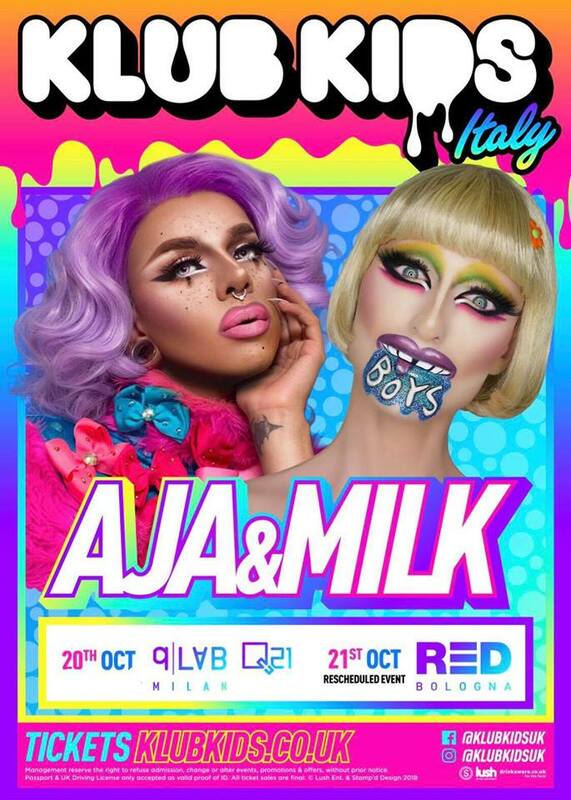 Klub Kids Bologna presenta AJA & MILK! Remember to expect the unexpected !!! Come and join the Klub Kids for another crazy event at CLUB RED, but this time we are bringing Aja and Milk from Rupauls Drag Race. With performances in the pool by the local Italian queens and the Klub Kids UK queens. VIP Meet and greet includes meet and greet with AJA & MILK with a professional photograph.